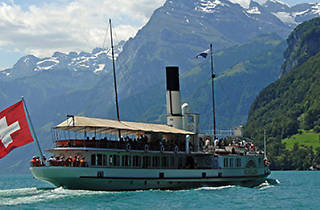 A train and boat ride that takes you to the birthplace of the Swiss nation, with scenery that is simply beautiful to behold. The world-famous Gotthard Line travels through many spiral tunnels climbing through the Alp and heads through the 15 km Gotthard Tunnel to Flüelen. 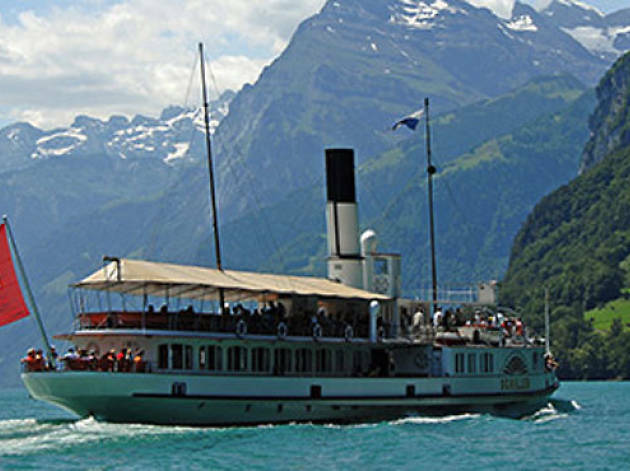 From there, you’ll take the historic paddle steamer, passing such historic landmarks as Tell’s Chapel, Rütli meadow, and the Schiller memorial stone.